Jack Waiboer from his 2009 Pitmasters class on Umami and whole hog cooking. This is the 6th episode of GrateTV. In this episode, Jack and Bill talk about how to properly freeze and store pork. They also teach you how to keep your hands clean when pulling pork. 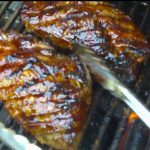 Jack gives tips on how to use garlic in your BBQ and also gives you his website of the week www.hawgeyesbbq.com. Turkey only seems to get center stage one time a year and that’s a shame. There’s nothing quite like a super tender turkey leg drenched in smokey sauce (I totally embarrassed myself gnawing a leg at the local Charleston Riverdog’s minor league baseball game food court the other day). There’s a ton of different ways to tackle turkey. 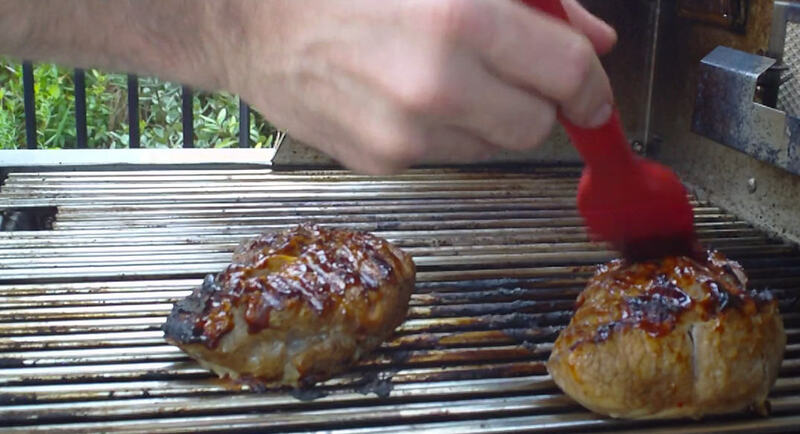 Best of all it’s even better (and more impressive for dinner guests) when it’s prepped on the barbecue. Just entered a cool contest with Honeysuckle White Turkey… I was actually hoping to show off one of my favorite ways to BBQ turkey with a rotisserie spit. 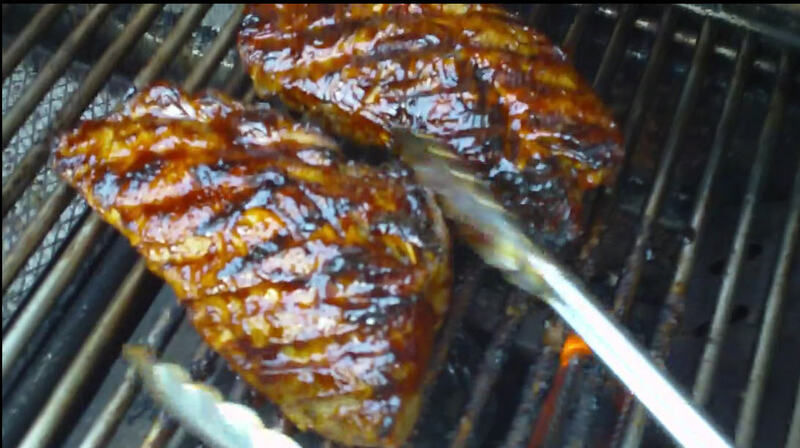 Instead I stumbled on thier teriyaki tenderloin breast fillets. All I know about Asian cooking I learned from Steamy Kitchen (Jaden there would laugh at my lack of authenticity!). But the pre-marinated poultry looked and ended up tasting fantastic and all I really added was smoke. The recipe is really already in the meat (is that cheating?) so here’s a very simple recipe for a Asian Inspired Turkey with more on a smoke pouch from an earlier post. It really was super easy. Soak chips in a small bowl for 15 minutes to encourage smoldering. Wrap the chips sealing tightly in an aluminum foil pouch. Vent with three small holes and place touching grill burner flame. Once smoke is produced place marinated turkey directly on medium grill for 10 – 15 turning once being careful not to overcook. Baste each side of turkey with a layer of hoisen sauce to glaze. Repeat to thick glaze. From http://GrateTV.com Crumple or roll… Can West get a piece of ash before the end of the show? Jack Waiboer and Bill West talk charcoal chimneys and a “Kool” secret ingredient. This is episode 5 of GrateTV. Submit Grate Plate Photos now! Jack Waiboer and Bill West pass on the beer and enjoy a bit of this week’s secret ingredient. 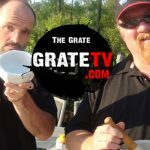 Grate TV is a weekly video podcast featuring all things BBQ and Grilling. Find more at http://GrateTV.com. Maverick Industries, Inc. BBQ Safety Igniter 15-in.